How do you play an opening properly? In order to play the opening properly, a lot of people believe that one should just study a lot of opening variations and typical ideas/tricks. Although this is partly correct, there's actually a huge hole here. Above we see the starting position of the Scheveningen variation of the Sicilian defense. What move can White play here? Almost anything! For instance: Be2, Bc4, g3, Be3, f4, g4, Bg5, f3, Qf3 and the list goes on... Do you really need to study all these lines? Of course not! The opening stage lasts for 15-20 moves and on every move both opponents can play around 10 different logical moves. Ultimately this generates many thousands (perhaps millions) of variations. Obviously there's no way for us to analyze and remember them all. But what about other possible options for White? 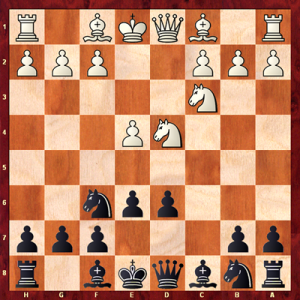 Should Black learn the lines arising from 6.Bb5, 6.Nb3, 6.Qf3, 6.h3, etc.? NO! You can't learn it all anyway. If you dig too deep in your opening study, you will not have time for mastering other vitally important skills: calculation, tactics, positional play, etc. You play a theoretical variation based on your home preparation. Your game turns into a sideline, or your opponent surprises you with an unexpected move. An unknown position appears and you need to find correct moves by yourself. These two situations will happen equally often. Again, let's be realistic. You can't learn all possible opening variations; it's an unworkable hope. You need to choose the right opening variations (your opening repertoire), and learn the necessary lines within them. You need to know the general rules/principles of opening play, and how you can find correct moves in unknown opening positions. Studying various opening variations takes a lot of your time. As we've already discussed, you can't learn everything anyway. Your opponents have access to the same tutorials that you have. There are opening tutorials about all possible opening variations, and you don't know what will work best for YOU. As for the 2nd item - the general rules/principles of an opening play - this topic is almost completely missing! Yes, there are some well-known opening rules like "develop pieces", "fight for the center" and so on, but these are very basic rules. Even beginners know such ideas and in many positions, it simply cannot help you. 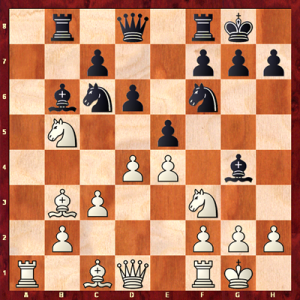 Above we see a very popular variation of Ruy Lopez. How should White play here? As you can see, the basic opening rules don't help here. For example, it is true that "we should fight for the center", but he's already fighting. So what should he do? 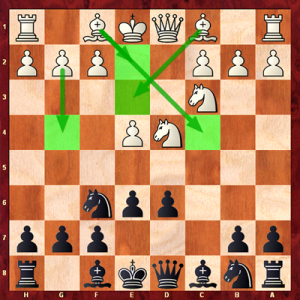 Most of the modern openings lead to complex positions where you need to use more advanced rules. Surprisingly, this topic is almost completely missing in the opening tutorials. 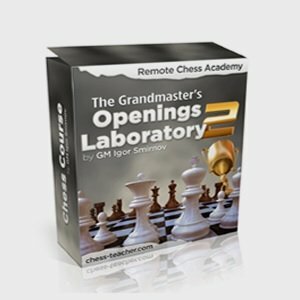 In order to help you overcome these difficulties, I've created a new opening course The Grandmaster's Openings Laboratory 2 . Powerful Opening Repertoire: We've selected the best opening variations, analyzed them, removed unnecessary lines, and prepared training materials that will help you master the given openings gradually. 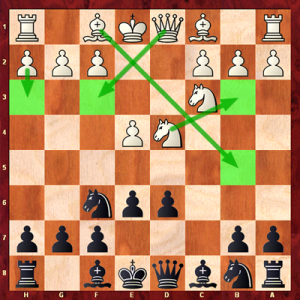 The general rules/principles of opening play: It reveals how Grandmasters find correct opening moves while playing a game. I'll show it to you in a real-time mode using various positions. Then you'll train it and automate these skills. Thus you'll be able to implement it in your games right after a study of the course. A serious study of the course will take 1-3 months (depending on the amount of time you allocate for chess, and your current chess level). After that you will have improved your opening play, and will have improved your general chess understanding as well. It should bring you an increase of 50 rating points for sure. The best students achieve an increase of 100-300 rating points.